Are you a creative individual who is interested in developing leading edge, experimental, next generation radar software and have experience in radar software development/engineering? If so, please continue reading! The Radar Concepts and Algorithms group within the Air and Missile Defense Sector at the Johns Hopkins Applied Physics Laboratory has an exciting opportunity available for a realtime Radar Software Engineer. We are looking for someone with experience developing tactical software for DoD systems. 1.Lead software development of tactical radar software architecture. Work in a multi-disciplinary team to develop new applications, algorithms, software, user-interfaces, etc. Creative application of new software technologies to emerging radar systems. Full software life cycle: requirements, design & development, integration, testing. 2.Research, investigate, and experiment with new programming technologies. Investigate use and applicability of different types of software technology for use in unconventional ways. Investigate use of different hardware platforms such as GPPs and GPUs for use in DoD systems. 3.Research and collaboration with various subject matter experts and organizations. Must be knowledgeable in multi-function radar architectures that support resource scheduling, tracking, specialized modes, etc. 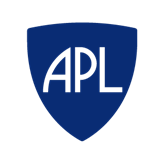 Benefits: APL offers a comprehensive benefits package including a liberal vacation plan, a matching retirement program, significant educational assistance, a scholarship tuition program for staff with dependents, and competitive salaries commensurate with skills and experience. For more information about our organization, please visit our web site at http://www.jhuapl.edu.